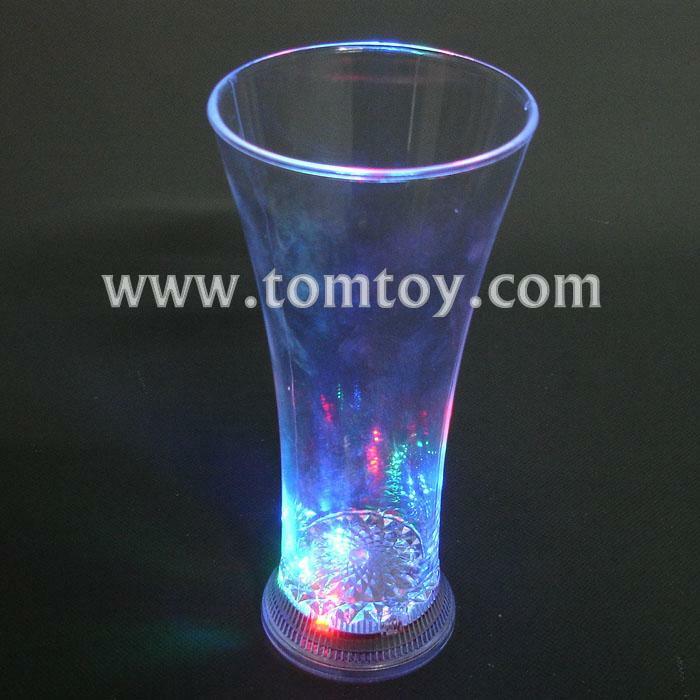 1.This 12oz slender LED pilsner glass is perfect for your favorite beer or any other beverage! 2.Can hold 12 ounces of your favorite drinks. 3.Measures 7 inches high and 3.25 inches wide. 4.The super bright multicolor LEDs(red, blue, and green) can be set to 3 different functions: fast strobing flash, slow flash, and constant on. 5.Batteries, which are replaceable, are included and installed.Each box contains one LED pilsner glass.